Protects topsides from fender scuff. Fit the Fender Pad between the fenders and the topside to stop the fenders rubbing the Gel Coat and paint work. Closed cell foam covered in Yacht Acrylic canvas. Other sizes and colours made to order. Simple stowage for fenders on deck, blue Acrylic canvas pockets. 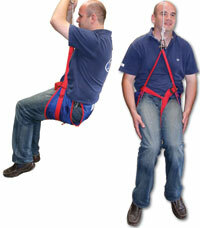 Will fit over any Life-Line or hand rail and securely holds two fenders. Part No. 16-20 For 15cm (6in) Dia Fenders. Part No. 16-30 For 23cm (9in) Dia Fenders. 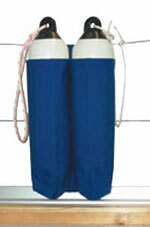 Specifically designed to protect yacht winches from the damaging and corrosive effects of the sun and salt water. The weatherproof and breathable yacht acrylic material prevents condensation and with the elasticated design, the cover is easily fitted and held firmly in position. Blue as standard other colours available to order. Dodgers give protection from the elements, such as rain and sea spray, and also provide a level of comfort and privacy onbaord. 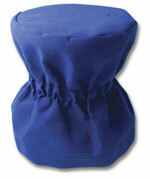 Easy to wash and repair, made from blue acrylic canvas, complete with eyelets and fastening cord. Other colours and sizes available to order. Supplied in packs of 2. The perfect answer for protecting your outboard, and stop excess engine oil getting on ensigns and clothing. It will also ensure that you maintain the second hand value. Made from waterproof and breathable acrylic canvas with a draw string for a perfect fit. Colour: Blue. Specifically designed to protect yacht winches from the damaging and corrosive effects of the sun and salt water. The weatherproof PVC coated Nylon material prevents salt spray getting into the working parts of your expensive winches. 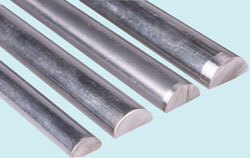 The elasticated design means the cover is easily fitted and held firmly in position. Waterproof PVC Coated Nylon outboard engine cover with a draw string for a perfect fit.